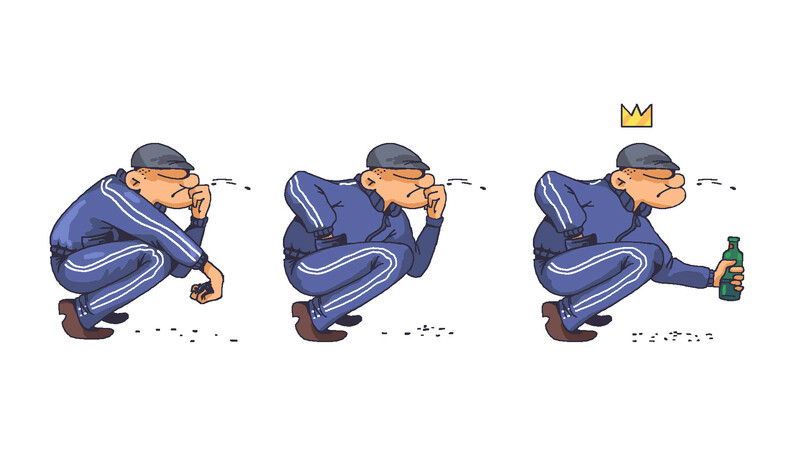 Russian gopniks (the equivalent of chavs) can often be distinguished by their stereotypical behaviour, so we’ve reimagined them as videogame characters. Gopniks, aka Russian chavs, are a dying breed. The half-criminal subculture born out of poverty, poor education, and absence of culture has fallen prey to the internet revolution that’s enticed loitering youths to search for entertainment and information online. 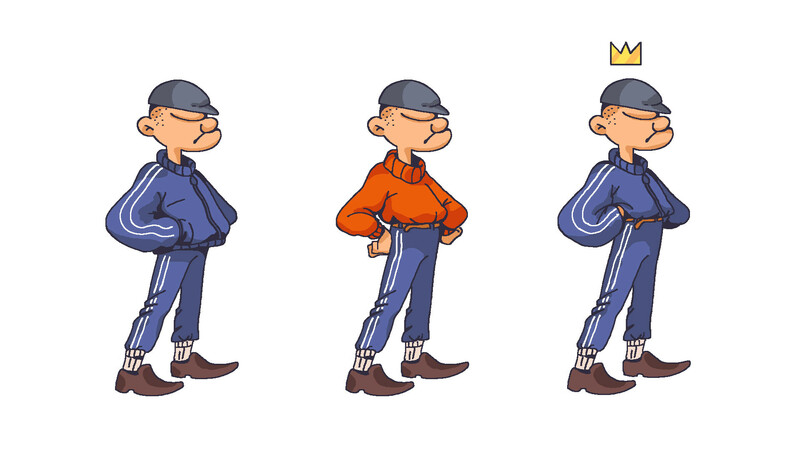 Now, stories of fights, criminal activity, and zapois (drinking benders) are mostly folklore or fiction, so we picked classic gopnik skills and features and turned these street-dwelling, Adidas-wearing thugs into video game characters. 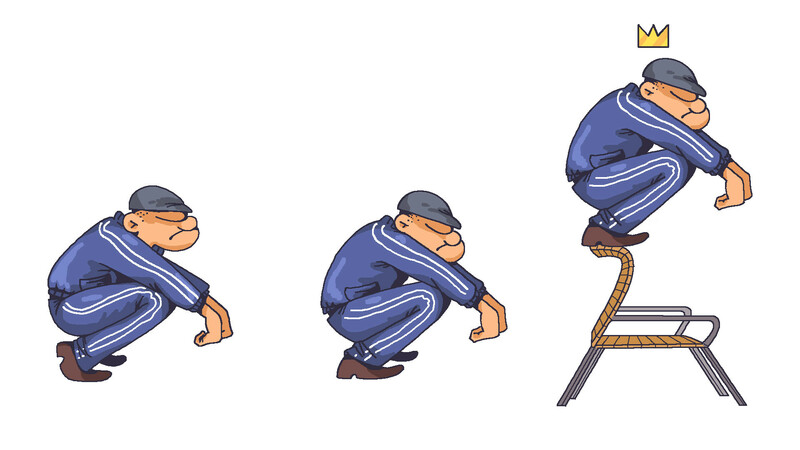 Squatting gopnik-style was essentially born in Soviet prisons, where during free time convicts had no place to sit and relax (for example, during a routine walk in the prison yard), so they were forced to squat (it was considered unbecoming to sit on the ground). Eventually, the ability to squat for a really long time without one’s legs becoming numb became a distinct feature of criminals – and young gopniks learned to do this to look more experienced. A proper squat is performed with the full soles of one’s feet touching the ground. Sunflower seeds, semki, the ultimate gopnik chaser for any drink and the best time killer (for example, when you’re waiting for your gopnik friends to arrive). Those who have vast semki experience know how to remove the shells without using their hands – which are free to hold a beer and cigarette. Once, a Moscow friend of mine went to the Russian Far East to work in a factory. The colleagues he met there were fairly provincial: they were Far Eastern gopniks and eyed the Moscow guy warily – until he reached for a glass, tin-capped bottle of mineral water and opened it with a lighter. It was a real ice-breaker and afterwards the gopniks assumed he was cut from the same cloth. 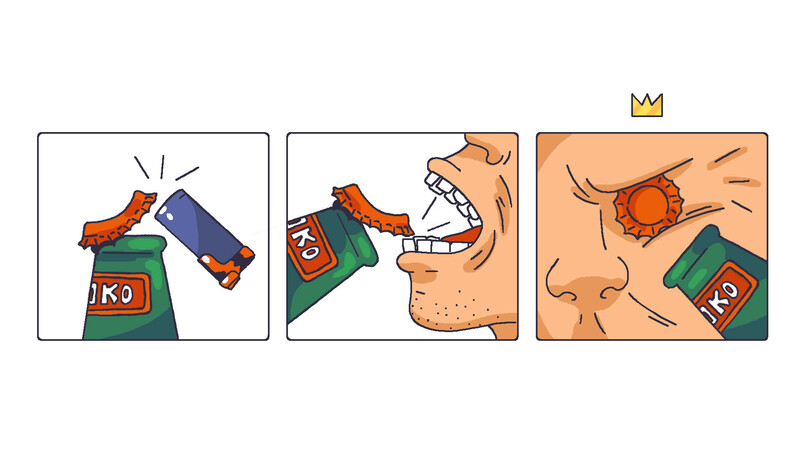 It takes a while to learn how to open a bottle with a lighter – you have to learn to get the right fulcrum (and break a few dozen lighters in the process). However, opening bottles with your teeth or even eye socket is extremely dangerous – that’s why this ability is so revered among gopniks. Don’t try to perform this stupid act at home! Let folklore remain folklore: keep your teeth and eye sockets intact. 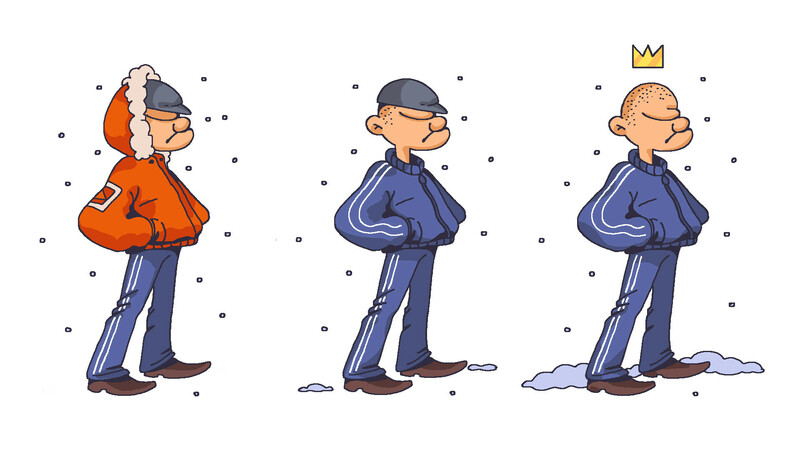 For a gopnik, appearance is paramount. A composed, menacing, and brutal aspect can scare simple folks into handing over their money, telephone, and other possessions. A proper gopnik outfit often includes pointed leather shoes and a light bomber jacket made from synthetic material. And even if it’s freezing outside, a true gopnik will not let his style suffer – by wearing demi-season clothes during the winter he shows off how tough he is. Raised in the Soviet Union, most boys were taught (in school and at home) to look presentable, which usually meant having everything tucked in. A rather philistine and anti-dandy way of dressing, but that’s how they rolled. Even while growing up, most boys tucked everything in very neatly – they all looked rather square. 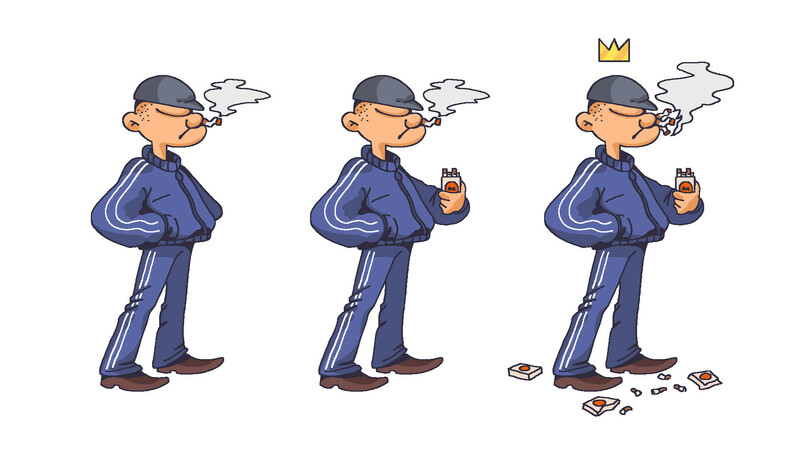 “Hey bratan, got a fag?” For a gopnik, bumming cigarettes is not simply about getting free smokes, it’s about showing status – because most people won’t refuse such small favor to a menacing looking chav.